Given the rise in cases  [en] where children born to a Japanese mother and a foreign father are abducted by the Japanese mothers and brought to Japan without the father's consent, U.S., France, Canada and the U.K. have recently urged Japan to sign the Hague Convention . 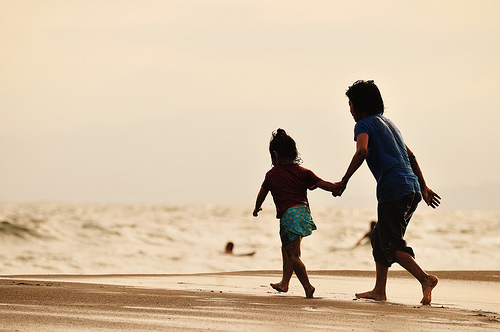 The treaty, covering international child abduction, came into force in 1983 to provide specific legal means for promptly returning the child to their original state of residence. Also, awareness about the question is very low among the citizens and major media don't help to raise knowledge of the problem. Blogger and activist Debito comments and criticizes  [en] the coverage of the child abduction question by the NHK (Japan national broadcasting organization), where the cases and information provided were biased against the foreign fathers. No mention at all was made by NHK that there has not been a single case of children being returned to the NJ parent by Japanese courts  (the converse is untrue ), that Japanese are committing crimes (and not honoring overseas court custody rulings, such as the Murray Wood Case ), or that (and I speak from experience of not seeing my kids for about five years now ) the Koseki system [Japanese family registration system] will deny all title and access to Japanese parents too after divorce . Also another lawyer, Mori, expresses his opinion  about the child abduction issue but he is more doubtful about the ‘internationality’ of the problem itself. But the child abduction issue does not impact only on Western parents, as the manager of a blog/agency that arranges international marriage points out .